The Size Charts above give you the measurement of the insole of our models. 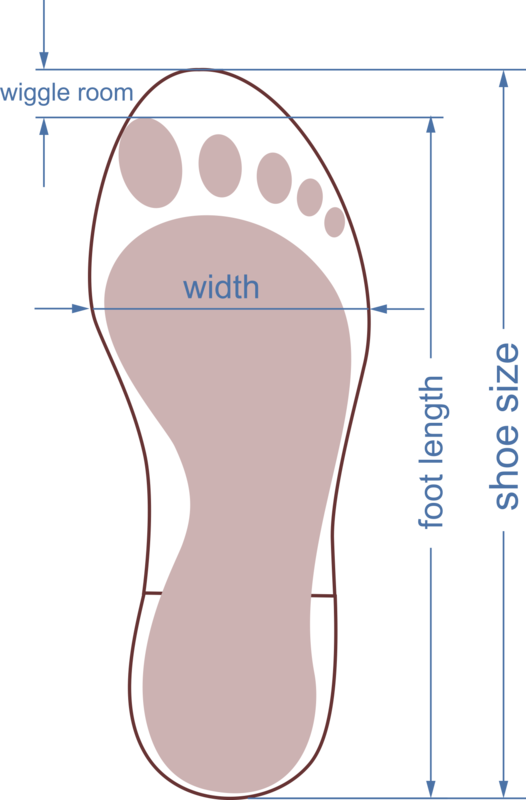 To measure your foot length, put a sheet of paper on a hard surface and place your foot on it. Everyone has one foot slightly longer that the other so it is better to measure the one that is longer. Grab a pencil and outline your foot. It is very important to keep the pencil pointing upwards (perpendicular to the ground). Make sure you keep the pencil straight around the arch of your foot so as not to tuck the tip of the pencil underneath since this error may result in choosing the wrong shoe-size. Take a tape measure (or ordinary ruler) and measure the length from the middle of the heel to the tip of your toe. These instructions may ease your choice of the right size but they are not a guarantee that the shoes will fit you perfectly since every feet is different.